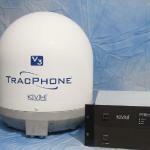 For sale, KVH Tracphone V3; Ku-band Antenna; case-mounted ACU and Modem (01-0335-02) providing internet connection and Phone lines in one. 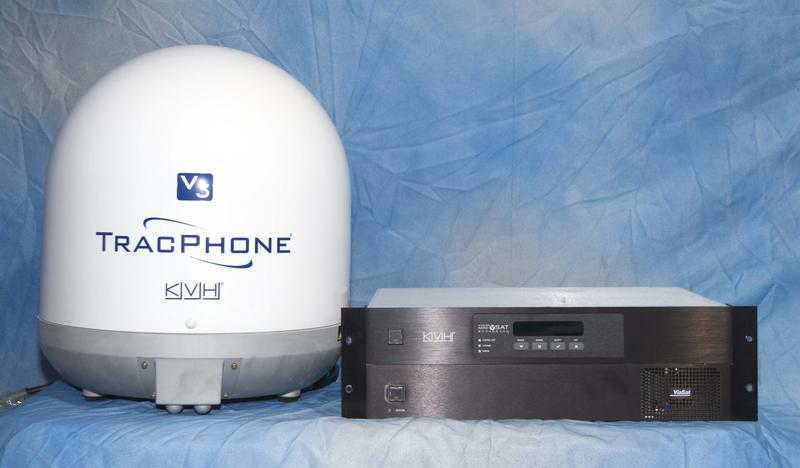 This KVH V3 Tracphone and Ku-band Antenna system unit is a VOIP phone system that works exactly like your landline phones. 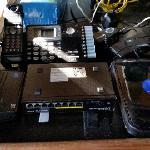 You can hook up a consumer wireless phone system and distribute phones throughout you vessel. KVH can assign you a phone number with your local area code. People can call ain and out anytime and anywhere. It is as simple as that. The system also allows you to surf the internet the same as you would at home. Speed is based on the plan you choose. 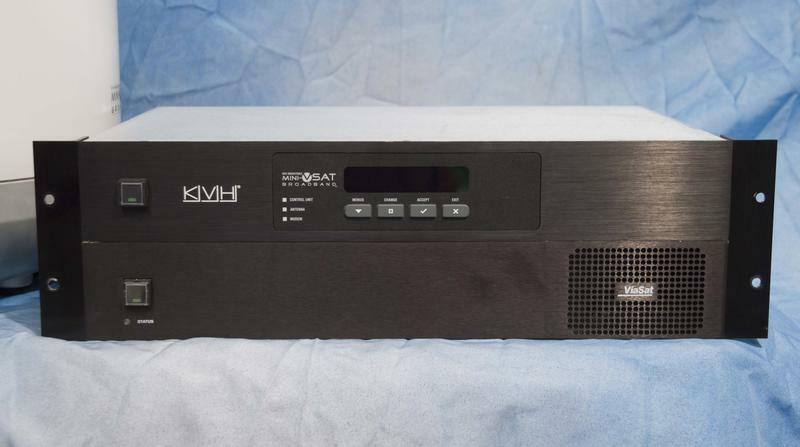 This KVH was purchased back in November 2011 and installed on a 65-foot research vessel R/V Tiburon. 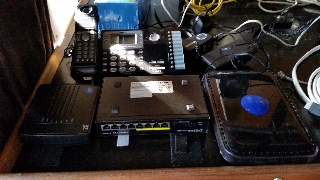 This system was employed to keep a crew of 8 working 24/7 online and communicating. From uploading large files to the home office to downloading or streaming instructional videos for equipment installations the system worked perfectly. The entire KVH system was completely un-installed and put into storage. 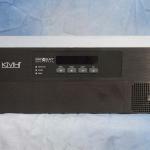 This KVH has show no signs of defects or in proper performance and has trouble free since the day it was put in and is still in great working order. 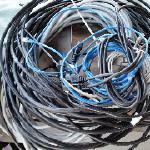 It is upgraded with all current software that was available March 2014) and ready to install and operate. 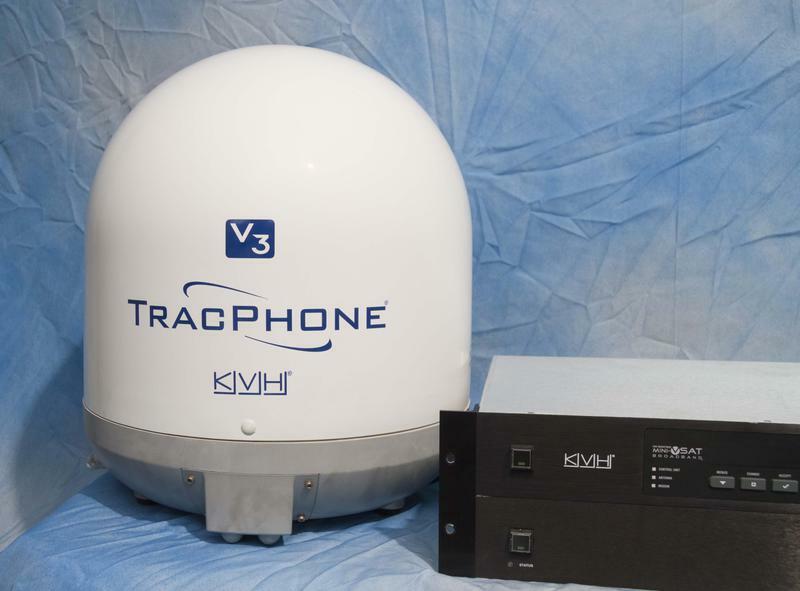 Manufacturer Description: The TracPhone V3 offers outstanding data and voice connections via KVH’s global mini-VSAT Broadband service, the fastest growing maritime VSAT network and the choice of the U.S. Coast Guard. Together, this system offers the blazing speeds of VSAT (downloads as fast as 2 Mbps!) 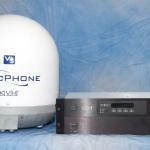 in the ultra-compact design historically offered only by Inmarsat. It is an end-to-end solution exclusively from KVH and equips your boat with a fully stabilized antenna, powerful ArcLight spread spectrum modem, and a sleek below-decks antenna control unit. 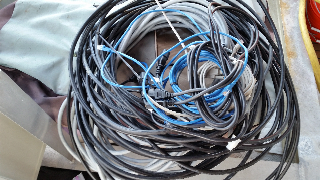 Ultra-high efficiency antenna using KVH’s RingFire design and groundbreaking dielectric feed rod technology for excellent reception even in bad weather. 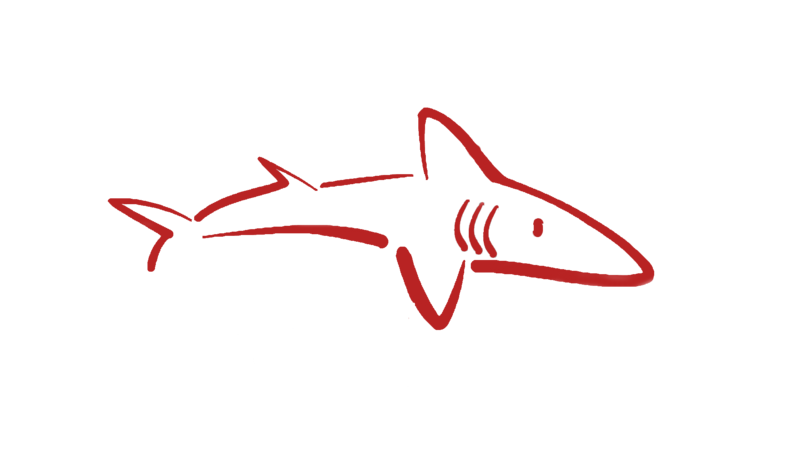 Integrated voice line using KVHs Enhanced Voice Service technology for crystal clear calling at only $0.49 per minute, anywhere in the world.